Comment: Wood that runs along the gutter is rotted at few places around the house. The gutter needs to be removed, wood replaced, painted and the gutter needs to be put back. Comment: House is slightly less than 1600 square feet. Gutters and eaves are in poor shape. Rochester Gutter Cleaning & Repair Services are rated 4.56 out of 5 based on 1,476 reviews of 24 pros. 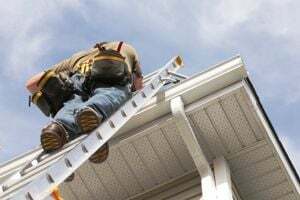 Not Looking for Gutters Contractors in Rochester, MI?